Elon Musk and Tesla have been making big promises about Full Self Driving for years, but recent announcements show us that they are confident enough to bet big on it within 3 years. They wouldn’t be this confident if they didn’t have it largely finished, and will probably be showing us something exciting on the 22nd. On Februry 19th, Elon Musk appeared on the ARK Invest podcast. There’s a lot of good information in the podcast, but there were several big takeaways that are applicable here. He said that the Full Self Driving software is going to be “feature complete” by the end of 2019, and that Tesla is about to hit an important milestone. For those not believing it’s possible because so many other companies aren’t that close, he pointed out that Tesla has a huge advantage: data. With all of the Tesla cars on the road with cameras and 4G data connections, they have more training data for machine learning than any competitor. On April 4th, Elon Musk responded to a tweet asking about the purpose of the inside-facing camera in the Model 3. He said, “It’s there for when we start competing with Uber/Lyft & people allow their car to earn money for them as part of the Tesla shared autonomy fleet. In case someone messes up your car, you can check the video.” The purpose of the camera has been known for quite a while already, but this recent tweet confirms the purpose again and shows that plans have not changed. On April 11, Tesla made a big announcement. While many are focusing on the price changes and the availability of leasing, Tesla told us two very big things that indicate a bit more about what’s going on inside, if one reads between the lines. First, the blog post said that all Teslas will now be sold with Autopilot included, and buying a Tesla without AP will not be an option for any buyers. When you put all of this together, it’s pretty clear that Tesla has a powerful card up its sleeve, and it isn’t afraid to get ready to play it. For one, Tesla’s gotten to the point where it doesn’t want to sell any vehicles without Autopilot enabled. Safety ratings from organizations like the Insurance Institute for Highway Safety are not only testing for crashworthiness, but also rate vehicles on their ability to prevent crashes from happening in the first place. By including Autopilot and subfeatures that prevent collisions, Tesla knows that it will get a better overall safety rating. This should help make Teslas more affordable to insure over time, especially if Autopilot brings Tesla crash statistics down in the future. Another big thing this shows us is that Tesla probably wants more data to finish Full Self Driving. With artificial neural networks and machine learning, example data is HUGE. The program needs to learn when it did well, when it did poorly, and when it suffered “disengagements” in order to become better. 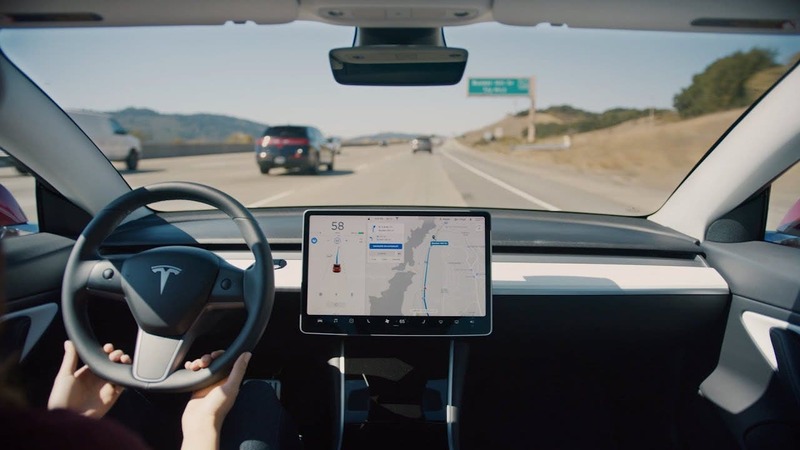 By having every Tesla equipped with today’s more limited version of Autopilot, that doesn’t allow Full Self Driving, Tesla will be ready for that sooner. This big thirst for data could mean that Tesla’s machine learning engineers have reached a milestone internally. I’m not in a position to know what this milestone is (yes, my article on April 1st was an April Fools’ joke), but I’m guessing that the teams solved a big problem that they hadn’t solved previously, and that it was the last major snag. Once again, this paragraph is pure speculation, but based on the recent announcements, it makes sense. The biggest thing that shows Tesla’s confidence is that it’s risking a lot on the new lease program. Model 3 leases are probably going to be quite popular, and they’re not giving any lessees the opportunity to buy the cars at the end. The plan is to put the cars into service providing driverless taxi services at the end of 3 year leases, but if they don’t have FSD ready by then, they’re going to have a bunch of used Model 3s on their hands. Selling all of them at once would probably flood the market, causing the price of a used Model 3 to drop fast. Bottom line: if Tesla doesn’t have fleet jobs ready for all of these lease-return Model 3s, it’s going to take a big financial hit. If the company wasn’t confident in the ability of the cars to hit the ground running, it wouldn’t be doing this. We don’t know a lot right now, but one thing is for sure: Tesla’s announcement on the 22nd is going to be a don’t-miss event. Elon and team are announcing something big that will show us a lot more about their future plans.